What is A Thermal Hair Protector? Thermal hair protectors can prevent hair from being harmed during the styling process by offering protection. A thermal hair protector works by coating the hair and providing a guard in between the hair and the appliance, thereby preventing any damage from occurring, there is a way you can protect your hair from the damage heated hair appliances cause. We use a lot of heating tools on our hair these days. Curling irons, flat irons, hot rollers, blow dryers; they all have a damaging effect on our hair. Unfortunately, in our world the stlyes of today require heating tools to acquire that perfect look. Thermal heat protectors come in a variety of brands and a wide range of prices. There is a thermal heat protector for everyone and every hair type. Once you begin to use one of these wonderful products you will wonder why you didn’t build it in your hair routine before now. Thermal hair protectors are applied to hair before the heat styling process begins. You should apply the hair protector to your hair from root to tip as no part is immune from the damage heat styling does. It is a quick, easy step that has many benefits. Using a thermal heat protector helps to make sure your hair maintains a natural, healthy shine. 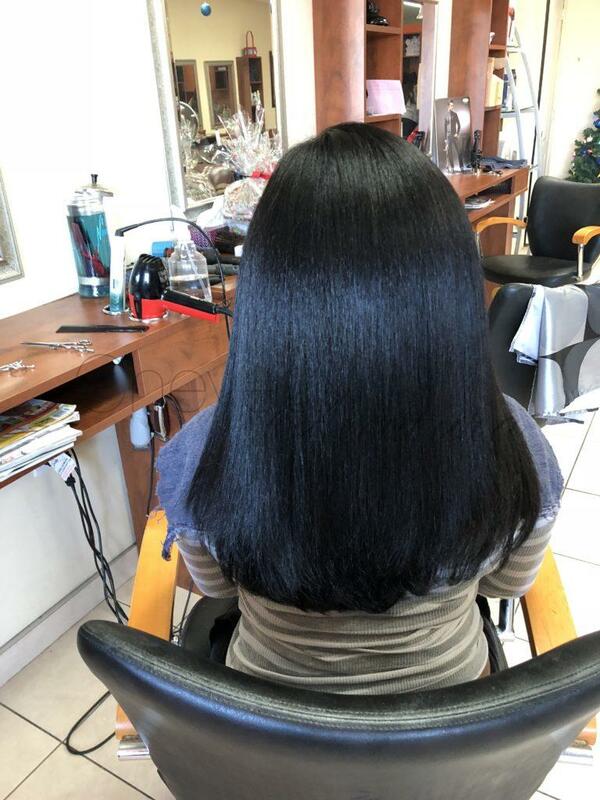 Many thermal heat protectors can be used on wet or dry hair to protect from the blow dryer, flat iron, curling iron or other heated styling tools and they include vitamins in their ingredients to help promote the health of your hair. Some even contain sunscreen to protect your hair from the sun’s damaging rays. Thermal heat protectors can also help condition, nourish, smooth and soften your hair. Thermal heat protectors also have other formulas you can use in combination with the protector. For example, you can purchase shampoos and conditioners that are specially formulated to help aid in guarding hair from heat. There are also other styling hair products that help promote protection from heated styling tools.